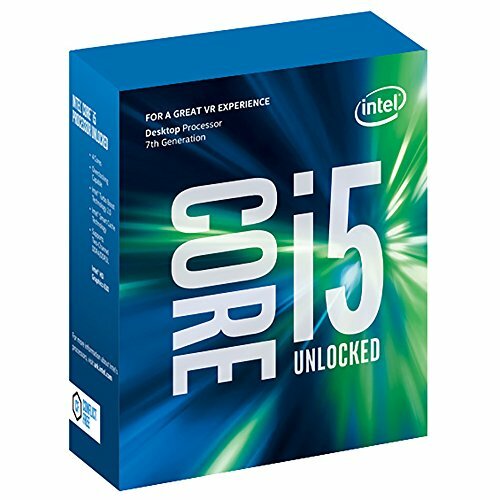 For the Excellent Intel Gaming Build build we selected the Intel i5-7600k as our processor. 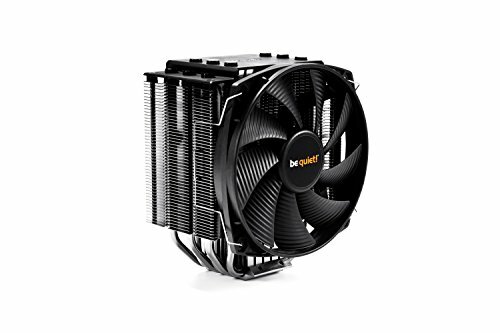 To cool the i5-7600k while overclocking we selected the be quiet! Dark Rock 3. The Dark Rock 3 is an excellent choice for our build aesthetically and will keep the temperature of the CPU cool while overclocking. All of our components are housed in the NZXT S340 Elite. This case has a gorgeous red/black finish, a large side panel window, room for enthusiast CPU coolers, watercooling radiators, and front panel USB3.0. For our power supply, we're using a parametric selection of well-reviewed fully and semi-modular units, all of which are 80+ Gold certified and provide more than enough power for this system while at stock clocks or overclocking. Hi, This will be my first gaming build. I have a few questions to do with cooling. Will this PC be kept cool enough? What temperature will the GPU & CPU run at when maxed out on AAA games in this setup? And how does the temperature of the CPU and GPU affect the lifetime of the PC? Would you recommend liquid cooling for this build and if so what would you recommend? Thank you. I'm no expert, so do not just take my word for it. You may have to do research on the parts yourself, but it should be kept cool enough, CPU might run low 70s if you overclock it (which you should if you get a "K" series CPU), GPU may run low 80s with the blower style cooler, but you can adjust the fan curve if that does not make you happy. You should not worry about the heat affecting the lifetime of the PC. You will probably upgrade parts before they ever come close to dying, and if they die sooner than that, you can probably get a replacement for free because of a defect. I would not recommend liquid cooling for this PC unless you know what you are doing and are willing to pay a couple hundred dollars more. I think you would be fine with just the cooling the parts come with though. Hope this helps! If it is getting in the 70s you should probably be liquid cooling it. Not all liquid coolers require the skill to assemble like custom loops. There are AIO (All In One) Liquid coolers that come prefilled and are just about as easy to install as air coolers. I don't think that the GPU will run that hot. 80s is a super high temperature and if I saw my GPU get to that, I'd be worried something is broken. I'm also thinking of building this as well, I'm fairly new to building so apologies if my question is a bit ignorant , but will i also need to buy a ethernet adapter for this ? or will it have one ? same thing for an audio adapter. Since that GTX 1080 isn't in stock , thoughts on this one? Its the same same build but with a different 1080 , https://pcpartpicker.com/list/gnK8BP Thank you. Good news! No, you will not. The motherboard comes with an on-board ethernet adapter which, when built, will be on the back of the case. So case closed! For future reference, when you're checking out motherboards, look on the left side under specifications, and check for the section 'Onboard Ethernet.' It being present signifies you'll find an adapter on the motherboard. Also, the secondary 1080 you linked is actually a bit better than the one in the default build, so definitely, it will do. Hey, so I'm just wondering on why you decided to get a 1080 with an i5, would this not create a fairly substantial CPU bottleneck. Honestly if I were buying this computer I would get an i5 6600k because it's not much difference in performance for a cheaper price. Also the storage is a huge risk because you shouldn't cheap out to get more storage, you should get 1tb for 50gb because honestly unless you own like 13453145 games you'll never use that much storage. And lastly the motherboard and power supply probably need a change too, a 550 watt power supply for something of this caliber you should at least have a 650, and with the money you would be saving with the other changes I recommended it would probably still be cheaper, and the motherboard either needs to be a higher quality or you need a more reliable PSU. I had a problem with a cheap power supply where it didn't work but it would still send power to the motherboard in short bursts and it could have shorted my board but I have a higher end board that wasn't cheap so it saved my entire system. So basically what I'm trying to say is that just research the parts and if you have a smaller budget either check the Linus Tech Tips forums or Toms Hardware because they have smart people who can help you a lot. Man, don't give people advice on this site. You don't have a clue about tech, you just lurk forums. I bet you've never even touched a 10 series Nvidia card, let alone used one. Literally everything you've said is BS. Just stop. There is nothing wrong with this build, or any of the parts in the selections. You're just a typical forum ***** that just memorized a few name brands and specs. If you look at the TDP, a 550 is more than enough Wattage to supply this build by over 100 Watts. Would you be able to use this as a Hackintosh? Yes, if you wanted to. When I placed my order, the only available 1080 was a Zotac mini. Is there any reason to be cautious with a mini GPU? Does it perform the same as EVGA that is available now? Am I able to overclock it? I'm definitely reading and learning a lot, but I really appreciate any help. This is my first build. Thanks, guys! The only concern I would have with the Zotac Mini is overclocking, since it might not have the proper cooling to overclock far enough to have an effect on performance. It will though perform almost identically with the EVGA ACX 3.0 GTX 1080. I wouldn't recommend overclocking with the Zotac Mini, since you might crash or experience a lot more heat on the card. Hopefully this helps you out. I'm looking to make this my first gaming build. Would there be any issues with this build if I were to swap out the case for the Fractal Define R5 ATX Mid? Would the cooler still be necessary considering the case would come with 2 fans? Hi, I'm pretty new to the PC world, but I'm ready to get into it. I've seen a lot about Player Unknown's Battlegrounds, and I've heard that it's very demanding. 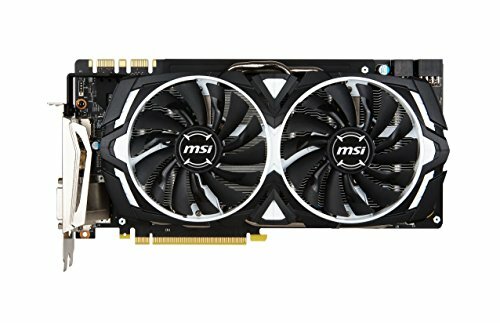 Would this build be able to run PUBG at higher settings? Thanks for the help. 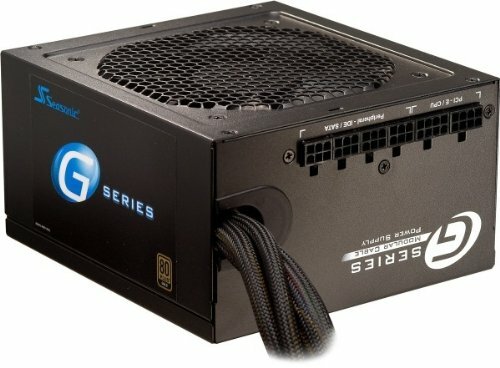 I love this build and the price fits in nicely with my budget, but i was wondering if this will be able to hold up with streaming videos? From what ive been reading, it looks like its best to go with a better CPU for streaming, but I would like to spend my extra bucks on getting a 144hz monitor. Any tips are appreciated, this site and community are awesome. I would recommend ryzen. You get far more cores, for a more reasonable price compared to Intel. If you want your game to look smoother, and feel better, the monitor would be good. My personal preference, though, is to get a better cpu, because it will be better in the long run. Ive been looking at that streaming, gaming, and editing rig more now. I just dont know if I stream enough to dish out another 400$ for it haha. But i feel like that build will hold up for a good while until something crazy gets released on the market. Thanks for the input! would i be able to make the gpu a gtx 1080ti without problem? No problem if you were building this yourself. I would not recommend a 1080ti it would bottleneck the hell out of your i5. That is complete BS. There are very few games where an i7 has increased performance over an i5. Yeah, but you're adding an extra 200 bux. Unless you're going to mine with this, it isn't going to be worth upgrading to a TI since you already have a 1080 with this setup. Nice build. One thing though, on amazon as of now, a ryzen 7 1700 is going for 40 dollars more. With this, you get double the cores and double the threads. Also, Ryzen 5 1600 is another viable option if you can't afford to pay 40 dollars more. From select sources, mainly userbenchmark, Ryzen has a slower single-threaded performance. Some games won't make do of 6 full cores and 12 threads. Ryzen is still a valuable option in my opinion. I built the pc, and everything is great, but I have a question about the RAM positioning. Does it matter what ports the RAM occupies? They are labeled slot 1 2 3 and 4, but they're staggered. Again, any help is appreciated. Thanks, guys. Depend what you're planning to do, I'm pretty sure you can stick with your i5 7600k : great cpu. i5 7640X from Intel is described as more of a placeholder for someone who wants a Core i7 7740X or Core i9. Guys I am looking for a PC that is somewhat future proof that is capable of 4k gaming. This will be my first build and I always bought a dell before this. Would this flip the bill? I am looking for it to last me at least 5 years. I do not play any FPS but I do like Dark Souls and other action games that frame rate does help. i feel like for 4k gaming you would need a better computer and within the 5 years you would probably end up upgrading it. can this build run planetside 2 smoothly???? is this pc going to be connected by ethernet cable? I think it's ok, although I would change my power supply to atleast 750 watt from corsair, and then a cheaper case because IMO I don't like how it looks. 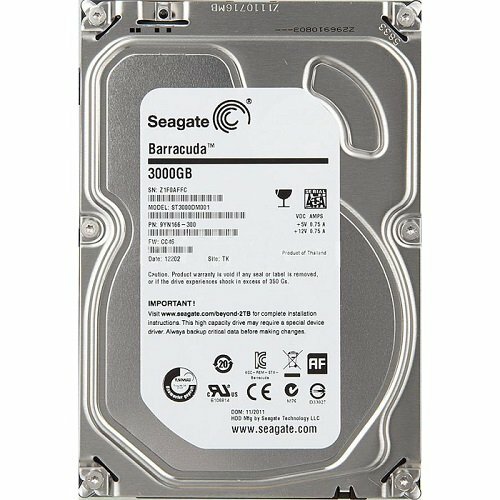 I use and prefer seagate drives and a samsung SSD, and that liquid cooler could be cheaper at corsair for around 40$, that's what I would really change. I said I would change it to a 750, and I would choose a corsair liquid cooler. You're judging on how the specs I would change, and what's with the hostility? It's MY opinion and it's how much I want to spend. Ryzen 7 won't utterly destroy the intel processor. You're not going to need 6-8 cores, 4 is enough (EVEN IF YOU STREAM, EDIT, GAME, ETC.). 1070s in the market currently are around 40 dollars cheaper than 1080s which is not a good of a bang for your buck. It has been proven by many 'techtubers' that streaming and gaming is better on Ryzen 7. I did over exaggerate with the 'utterly', sure, but streaming and editing/rendering is much better on Ryzen 7, and 1070s are really just 1080s with lower clock speeds, I still find a 1080 much more worth it. But, you do you, man, I won't judge. 1080's cost $40 more for a 15-30% increase in performance across all games. That's huge if you plan on getting 144/180/240hz monitors. would you need low form factor RAM sticks for that cooler and the motherboard? I am new to building computers and this would be my first build that I would do. I probably have a easy question for most of you, but if I wanted to switch to an AMD Ryzen 7, I assume I would have to change out the motherboard. Or would it work with this motherboard? Also would it even be worth it to do that if I would do streaming and gaming? Any help would be appreciated. thanks.